These Swarovski Crystal ‘Frames’ are linked together with cylinder beads in a blend of two colours. 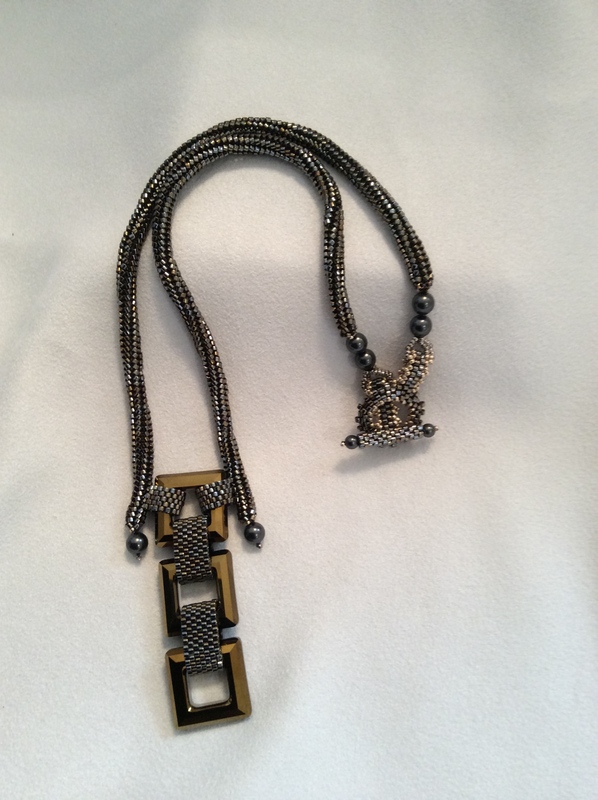 I have made the clasp from the same beads, accented with 24 kt plated beads. The necklace measures 17′ round. There is a matching bracelet available.